1) Parabens (Methyl, ethyl, propyl and butyl parabens) – Parabens are popular cosmetic preservatives that also happen to mimic estrogen, which is why they are being extensively researched in their possible roles in estrogen-dependent cancers (such as breast and ovarian cancers). One study has shown that 99% of breast cancer tissue samples contained at least one kind of paraben. 2) Diethanolamine (DEA) and Triethanolamine (TEA) – These can be found in items such as shampoos, detergents and shaving creams, and are used to make certain products creamy or sudsy. Outside of body care, DEA is also used in oil refineries to remove hydrogen sulfide from gas emissions, not exactly what you want to clean yourself with! 3) Diazolidinyl urea, Imidazolidinyl urea – This is an antimicrobial preservative used in cosmetics and hair care products. It acts as a formaldehyde releaser (slowly releases formaldehyde), which is the chemical used in embalming. Yikes! 4) Sodium lauryl/laureth sulfate (SLS)– SLS is commonly found in toothpastes, hand soaps, detergents and shampoos. The real problem with SLS is that the manufacturing process results in it being contaminated with 1,4 dioxane, a carcinogenic by-product, which can harm the nervous system and interfere with human development. 5) Petrolatum (Petroleum) – Used to make your lips shimmer and your hair glimmer, contaminated petroleum-based products have been associated with cancer, as well as skin irritation and allergies. 7) PVP/VA copolymer – PVP polymer is a derivative of petroleum, and is found in hair products, styling aids and cosmetics such as mascara and eyeliner to help your hair stay in place and keep your eye makeup from running. While its toxicity is under debate, the particles of PVP/VA copolymer may cause damage to your respiratory system when inhaled. 8) Stearalkonium chloride – An anti-static agent originally designed by the fabric industry for use as a fabric softener, this chemical eventually found its way into many hair and skin care products, particularly hair conditioners. 9) Toluene – Toluene is a toxic chemical used in nail products and hair dyes. Exposure to toluene can result in temporary effects such as headaches, dizziness and cracked skin, as well as more serious effects such as reproductive damage and respiratory damage. Toluene is restricted for use in the European Union, but has yet to be restricted in the United States. 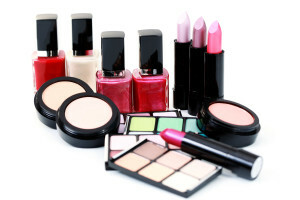 10) Phthalates – Phthalates are widely used in color cosmetics, fragranced lotions and body washes. These chemicals, which are linked to endocrine disruption, developmental and reproductive toxicity, and cancer, have been banned from cosmetics in the European Union, but are still used in products sold in the United States. 11) Synthetic fragrances and colors– There are thousands of different chemicals that can be used to create the synthetic fragrances found in perfumes, lotions and hair care products. 12) “Natural” fragrances and ingredients – There are no federally regulated guidelines for the use of the word “natural” in beauty products (or food products for that matter). So don’t be fooled by this marketing tactic. To find out whether your go-to products are safe or not, try Think Dirty’s shop clean app. This easy-to-use phone app ranks the safety of specific products on a scale of 1-10 and offers up cleaner solutions. You can either search for products by name, or simply scan the barcode! 1. Barr, L. Journal of Applied Toxicology, 2012.